1) Where can I find replacement watch straps? 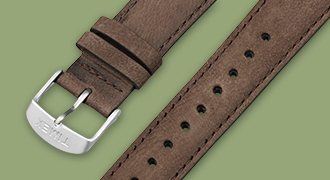 Replacement watch straps can be found here. 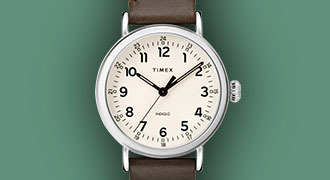 If you are having difficulty finding your strap, you can also contact our Customer Service Department at csd@timex.com. Please email us photos of your watch or if you know the model number of your watch (starting with T). If you have a digital watch you can quote us the 3 digits on the back of it to help us identify the model. Replacement strap prices vary depending on the model of your watch. Watches need to be sent in for full assessment and quote. Payment can be made online via Worldpay or by credit/debit card over the phone. Your order will typically arrive within 5-7 working days. 2) My watch is sentimental. Should I send it for repair? 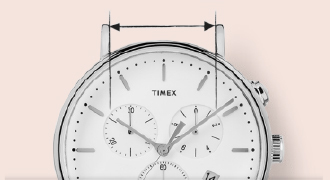 Please email us photos of your watch first for us to identify and see if we are still able to repair csd@timex.com, otherwise, we recommend not sending any watches of sentimental value without checking with us first. 3) Can you explain your repair or replace policy for warranty service? 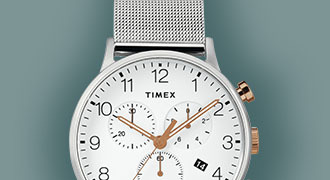 Timex.co.uk / Timex.eu / Timex.pl offer it's customers an extended 2-year warranty from the original purchase date. 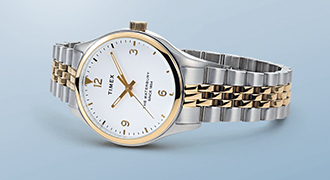 As stated in the limited warranty, Timex may repair your watch or replace your watch with an identical or similar model. Your watch should be sent to us at our full postal address with proof of purchase (receipt or guarantee) along with a covering letter explaining nature of the fault, your full name and address, phone number and e-mail if available. 4) Can you tell me what it will cost to repair my watch? Repair charges vary depending upon the style, age, and condition of the watch. 5) My watch needs repair. Should I remove the strap before sending? 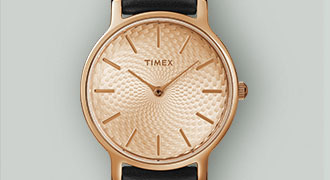 Your watch may be replaced with a similar model. If you have customized the strap or affixed a different type of strap, you may want to remove it before sending. 6) How long does it normally take to get my watch back? 7) What is the difference between a water-resistant and waterproof watch? Water-resistant is the ability to resist the penetration of water to a certain degree. Waterproof means that water is not allowed to pass through it. 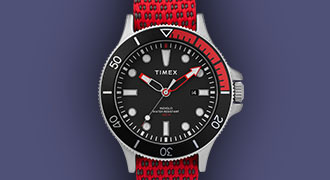 At this time Timex only sells water-resistant watches. 8) What is the Warranty Policy? 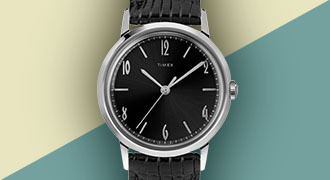 Timex.co.uk / Timex.eu / Timex.pl offers it's customers a 2-year warranty, click here to view full manufacturing warranty. 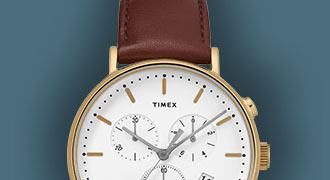 In most cases, problems with your watch in the first 2 years will be covered by the terms of Timex's limited warranty*. You will not have to pay for repairs to your watch that is covered by the warranty. There is, however, a charge to cover postage and handling as specified in the warranty required (UK customers only). *Guarantee only covers the movement and does not cover replacement battery, strap, glass or any of the case parts. 9) How do I track my repair? Please call our Customer Service department at +44 208 326 6940 for a status. 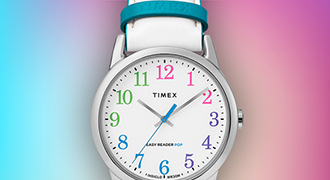 Otherwise, please email csd@timex.com for updates. 10) Can I return my customised watch? 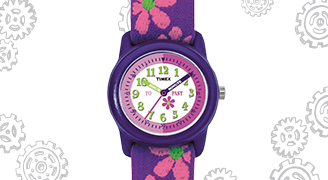 Customised watches purchased from MYTIMEX are eligible for refund and exchange. Engraved items, however, are made specifically for individuals and are considered final sale, and are not eligible for refunds or exchange. 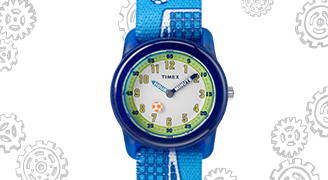 If you are unhappy with your purchase, please contact us for further advice on CustserEU@timex.com. We are available Monday –Friday 8:00am-5pm GMT.